would be really nice to have some vu-meter / volume monitoring for vsti as well. would be even better to be able to set different colors for those vu-meters in the setup color-tab. Not sure if its technically possible, because this has been brought up years ago. 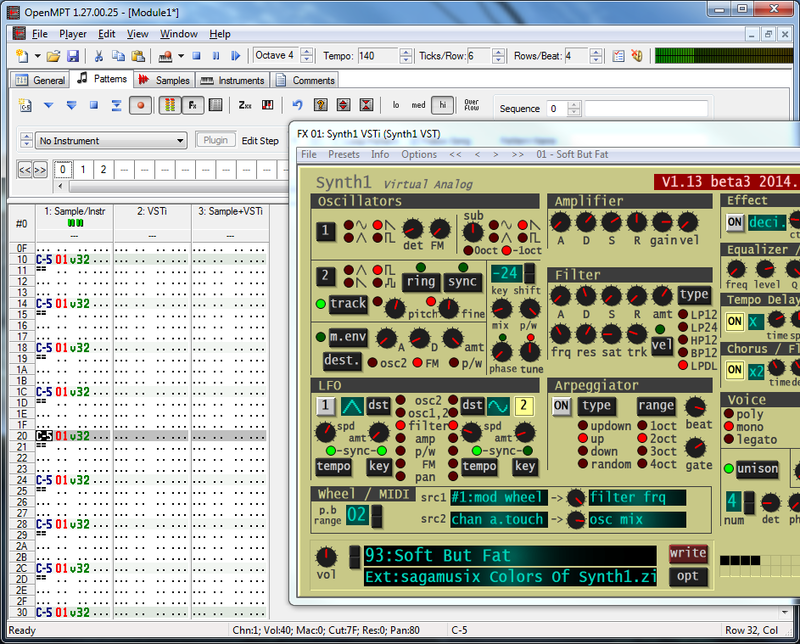 You can always use vst's that show you these VU's. it should be in the realm of possibility, coz the VSTi signal has to be sent *somewhere*, in this case to the tracker's buffer. i'd like to see a VU on the patterns tab before one for vstis (although that would be cool too!) it's definitely the most useful where it is though as the general tab is like the mixing desk. 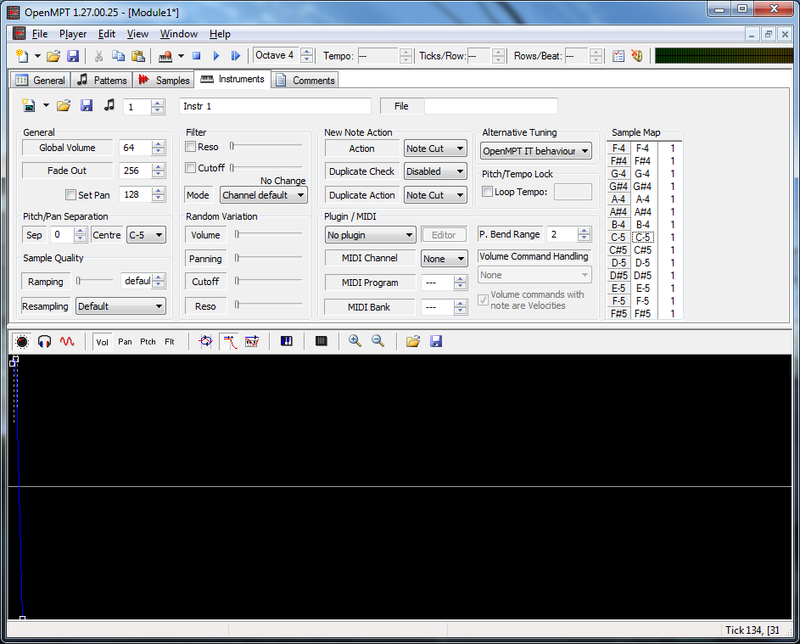 A while back I threw together a little VST that just shows VUs for an input signal. I'll try and get it up here as a stopgap if you like - personally, I don't use it, 'cos most of the VSTis that I use have VUs in them already. It should definitely be possible to implement in MPT itself, though, 'cos the VUs on the "General" tab show VSTi signals already (and, unlike the channel ones, they actually show what's happening with the waveform, not just sample volume). One of the oldest requests... Time to fix it! You can grab r7319 or later from https://buildbot.openmpt.org/ as soon as it's up (within the next few hours). So far this uses the same colours for plugins as it does for samples, but I like the idea of being able to assign different colours, so that will be considered for the future. Please let me know if you see VU meters popping up on channels where they shouldn't, because that's one of the reasons why I postponed fixing this issue for years. But with the current code, it no longer seems to happen. Starting from r7327 (1.27.00.19), You can set custom VU meter colours for plugins. Please test it and let me know if you find anything dodgy, like sample channels suddenly showing wrong colours or vice versa. I tested some things with the VSTi VU meters, and this is quite interesting. 2) There really is no other way without heavily modifying the engine with the single gain of doing... exactly what? Showing a mixture between the two colours? 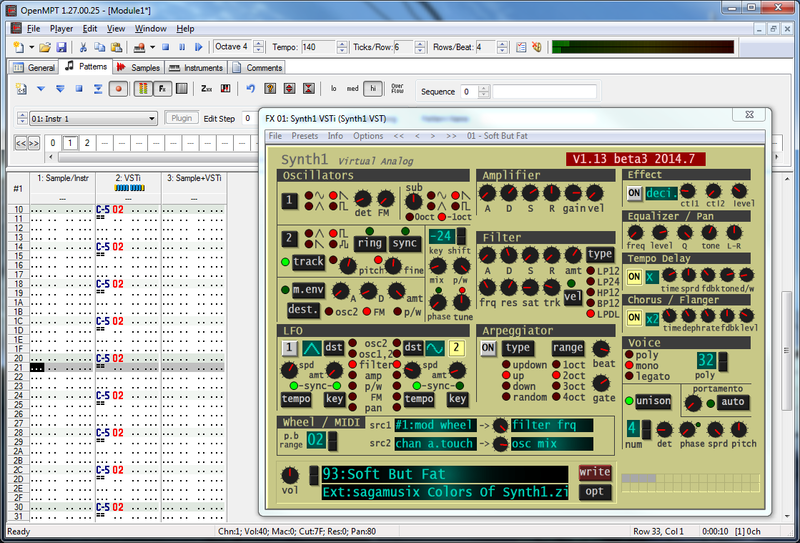 So is it then possible to actually prevent the assignment of samples, if the loaded VST is of the instrument type? 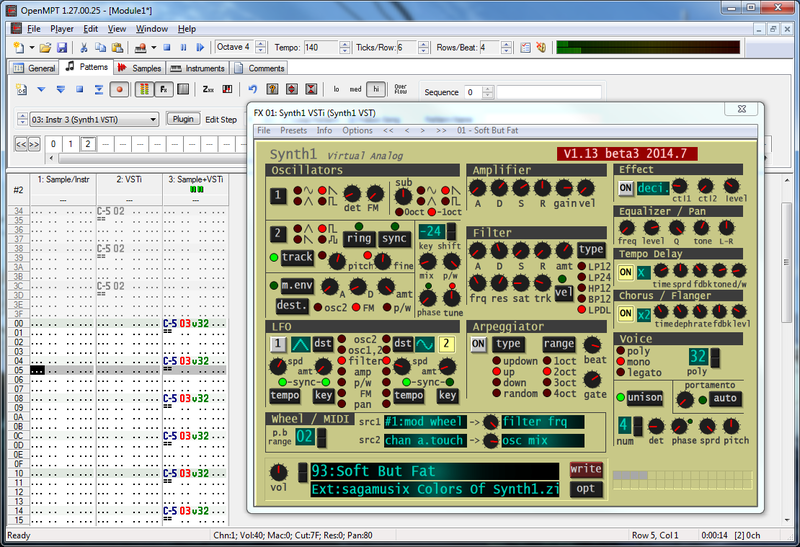 It looks like the current instrument editor does not differ between VST effect plugins and instrument plugins. Just for the case that mixing samples and VST instruments in one instrument is not intended. I'm not sure I understand the question. When you load an instrument plugin, a sample-less instrument is automatically created for it, and if you assign an instrument plugin to an existing sample-based instrument, it will offer to remove the sample associations automatically. If you retroactively want to remove sample assignments, right-click the sample map and choose "Remove all samples". Wow, thanks for putting this into the next build, I already posted my support for it and am now feeling like it will be a new years present. Will be a great addition to the visualization of each channel and track.